Features include: Smyth-sewn binding, single-column text, footnotes, topical subheadings, black-letter text, 10-point type, concordance, presentation page, and full-color maps. 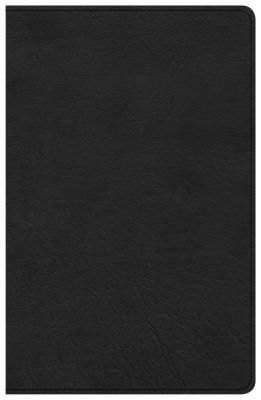 The CSB Single-Column Personal Size Bible features the highly readable, highly reliable text of the Christian Standard Bible (CSB). The CSB stays as literal as possible to the Bible’s original meaning without sacrificing clarity, making it easier to engage with Scripture’s life-transforming message and to share it with others.